The development of male sterile plants is a prerequisite to developing hybrid varieties to harness the benefits of hybrid vigor in crops and enhancing crop productivity for sustainable agriculture. In plants, cysteine proteases have been known for their multifaceted roles during programmed cell death, and in ubiquitin- and proteasome-mediated proteolysis. Here, we showed that Arachis diogoi cysteine protease (AdCP) expressed under the TA-29 promoter induced complete male sterility in Indian mustard, Brassica juncea. The herbicide resistance gene bar was used for the selection of transgenic plants. 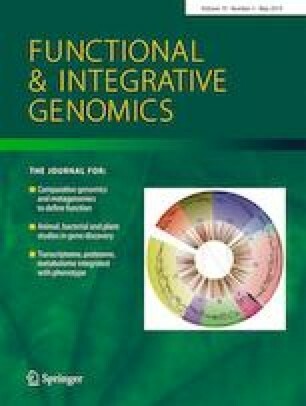 Mustard transgenic plants exhibited male sterile phenotype and failed to produce functional pollen grains. Irregularly shaped aborted pollen grains with groove-like structures were observed in male sterile plants during scanning electron microscopy analysis. The T1 progeny plants obtained from the seed of primary transgenic male sterile plants crossed with the wild-type plants exhibited segregation of the progeny into male sterile and fertile plants with normal seed development. Further, male sterile plants exhibited higher transcript levels of AdCP in anther tissues, which is consistent with its expression under the tapetum-specific promoter. Our results clearly suggest that the targeted expression of AdCP provides a potential tool for developing male sterile lines in crop plants by the malfunction of tapetal cells leading to male sterility as shown earlier in tobacco transgenic plants (Shukla et al. 2014, Funct Integr Genomics 14:307–317). The online version of this article ( https://doi.org/10.1007/s10142-019-00674-3) contains supplementary material, which is available to authorized users. Ranjana Gautam especially thanks UGC for providing fellowship to carry out this research work. The authors also thank to the Head, Department of Plant Sciences, University of Hyderabad, Hyderabad, for facilities available under DST-FIST and UGC-SAP-DRS while performing the experiments. This work was supported by the Council of Scientific and Industrial Research (CSIR), New Delhi, under a research project no- 38(1393)/14/EMR-II) to one of the authors (PBK).